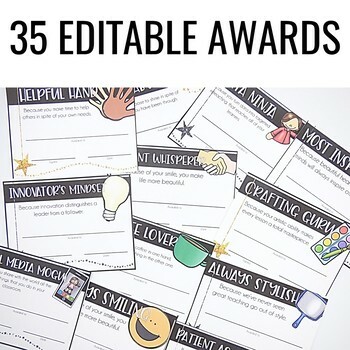 Because students are not the only ones that deserve an award at the end of the year! 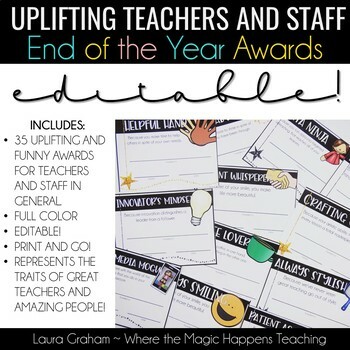 This is a super fun and uplifting set of 35 teacher and school staff awards, they are perfect to pass at the end of the year staff meeting or celebration in general. 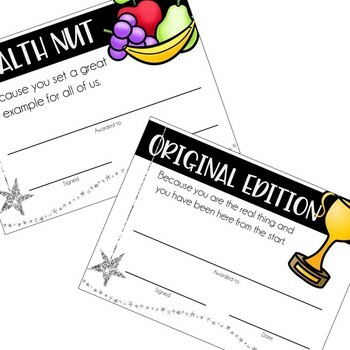 They are in full colors, fillable/editable (which means you can type using your own fonts! ), and a total breeze to prep! © 2019, Where the Magic Happens LLC. 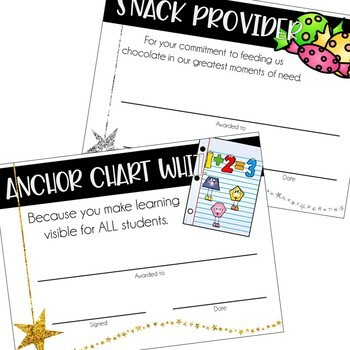 End Of the Year Awards for Teachers and School Staff - for single classroom use, please purchase multiple licenses (at a discount price) at check-out for whole-grade or school-wide use.